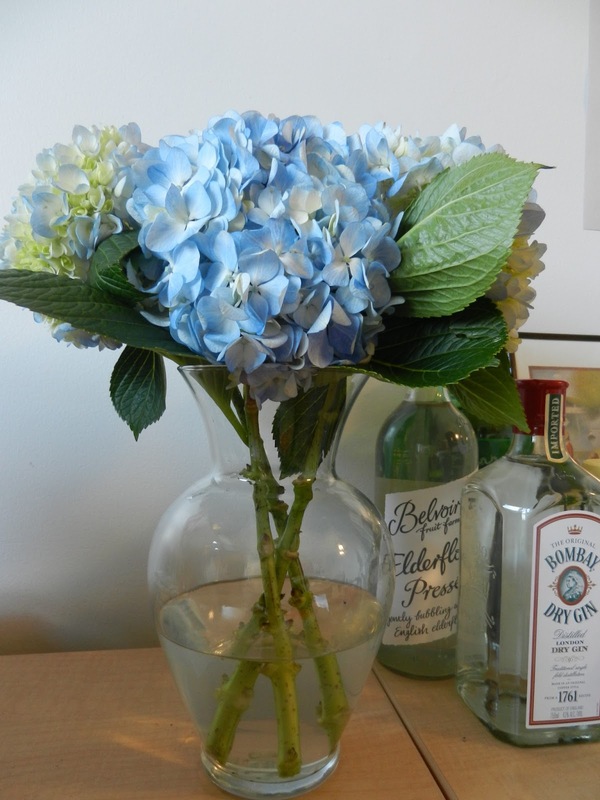 Hydrangeas are my absolute favorite flowers. I love the huge heads made up of so many little petals, I love the vibrant variety of colors they come in, and I love their ubiquity in the summer. When I lived in Vermont, it seemed as if every house I passed on the way to work had at least one huge hydrangea bush in the front yard, and last summer in Paris, there was a gorgeous flower shop I would pass on the way to the Metro leaving work that put them out by the bucketful, which was always so tempting, although I always worried they wouldn't survive the long train ride home. I love that this summer, although I might be living in a place where hydrangeas don't grow very well, I can still get a taste of my favorite flower in a few other ways. 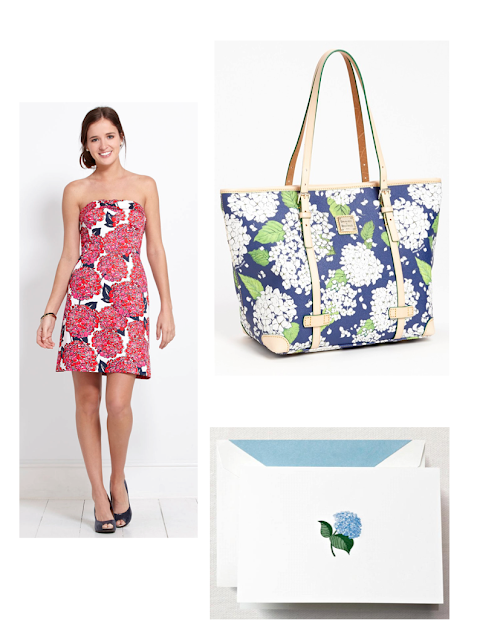 I already have those gorgeous engraved notecards, but that purse and that dress in particular are just calling my name!